Gisborough Hall has appointed two key members of staff as it continues with its recruitment drive. Karl Rochford joins the 4* star hotel, bringing more than 20 years’ hospitality experience with him. As well as working at a number of popular restaurants around the North East and Yorkshire, most recently Karl was head chef at Solberge Hall in Northallerton and was part of the team to achieve two AA rosettes. 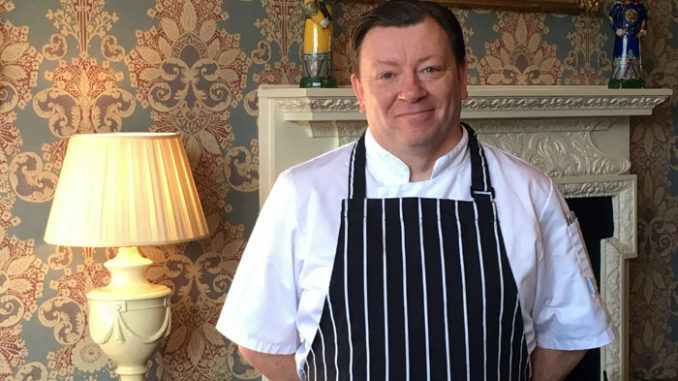 He has previously worked as Gisborough Hall’s banqueting chef and then went on to be head chef at Hall Garth Hotel for seven years. Karl will be responsible for running Gisborough Hall’s two AA Rosette Chaloner’s Restaurant as well as the more informal G Bar and Bistro. He plans a number of changes, such as new Sunday lunch and afternoon tea menus and a new ‘Taste of Yorkshire’ sharing platter. Karl said: “Gisborough Hall has a great reputation for its food, illustrated by the 2 AA Rosettes. “But one of my aims is to create awareness within the local area about what we offer. After all we are a local business, for local people as well as those visiting the area. In addition, Amy Baker has been recruited as Gisborough Hall’s new operations manager. Amy has over 15 years’ experience working at a number of 4 and 5* hotels around the country including the Devonshire Arms at Bolton Abbey near Skipton, Swinton Park in Masham near Ripon, the Royal Crescent in Bath, the Feversham Arms in Helmsley and the Crowne Plaza in Newcastle. She’ll be responsible for the day-to-day running of Gisborough Hall, including managing the bars and restaurants and the reception and housekeeping teams. Gisborough Hall is continuing to reinforce its team, a year on from becoming a fully independent, family-run hotel. The business is also currently recruiting catering assistants, room assistants and welcome hosts. Gisborough Hall became a fully-independent and self-managed hotel in April 2017 and employs over 100 local people across the hotel, in its restaurants, bars and Revival Zone Spa. This number is set to increase further in the coming year with the creation of a new multi-million-pound spa which it’s hoped will be open by Christmas 2019. Gisborough Hall dates back to 1857 and the grade II-listed country house was fully restored in 2002.